Biological control is the introduction of a natural enemy or predator to control an invasive weed or pest. One reason invasive weeds may proliferate so well in a new environment is due to the potential limitation or lack of organisms that will attack or consume that plant. Native species, on the other hand, are in equilibrium with their natural enemies and as such, their populations are kept in check. Biological control agents released in the United States must first go through years of rigorous testing following guidelines established by the United States Department of Agriculture’s Animal and Plant Health Inspection Service – Plant Protection and Quarantine (USDA-APHIS-PPQ). 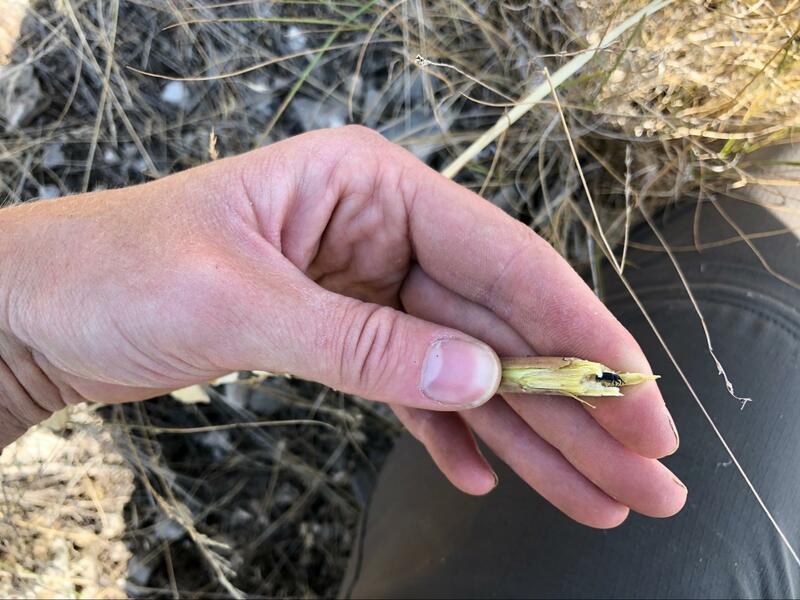 These tests are performed to ensure a potential agent is host-specific, that is, they only feed and develop on the target weed and will not attack natives. 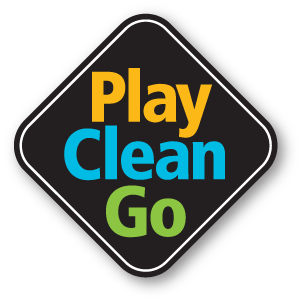 Biological control is used in an integrated pest management plan. 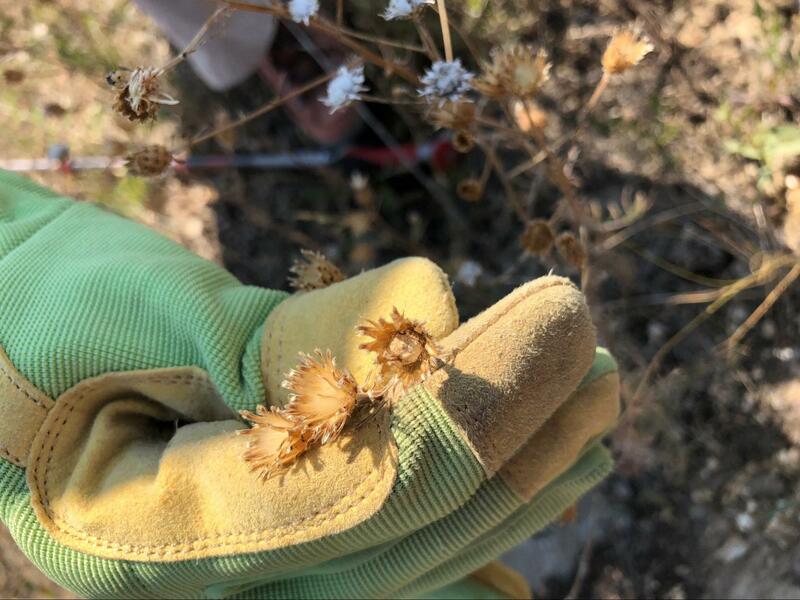 A weed infestation may be too large to affordably treat chemically and biological control may be an initial treatment option to knock a weed population down to where it can be sprayed or mechanically controlled. Additionally, biological control is often used on steep slopes which would be inaccessible to a spray crew with their equipment, but a bio agent could be released at the base of such a slope. We also release bio agents on banks and islands along the Snake River that are accessible by raft. We have bio agents on musk thistle, dalmatian and yellow toadflax, spotted knapweed, leafy spurge, common mullein, and St. Johnswort. 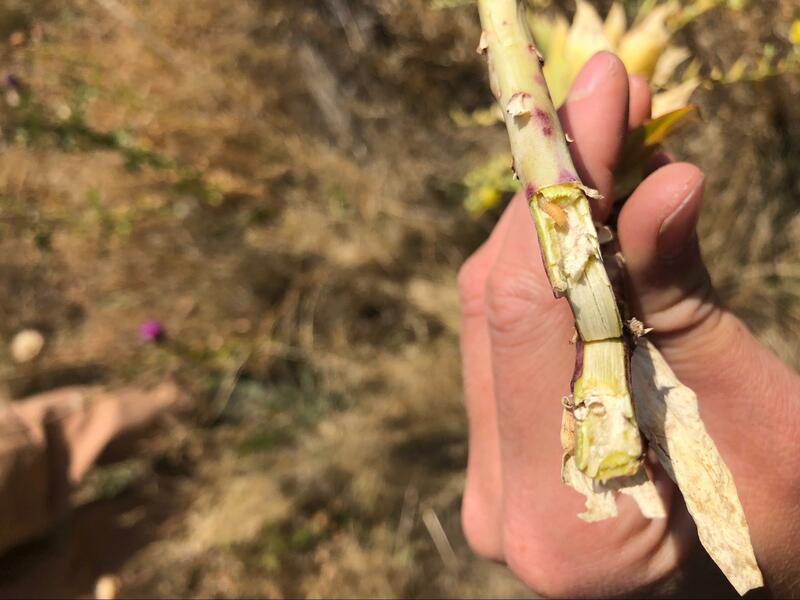 We have biological control agents on Canada thistle as well, but their effectiveness has been limited throughout the Western U.S.
A spotted knapweed agent working well in Teton County is called Larinus minutus, the lesser knapweed flower weevil. Larvae feed on pappus hairs, seeds, and receptacle tissue. 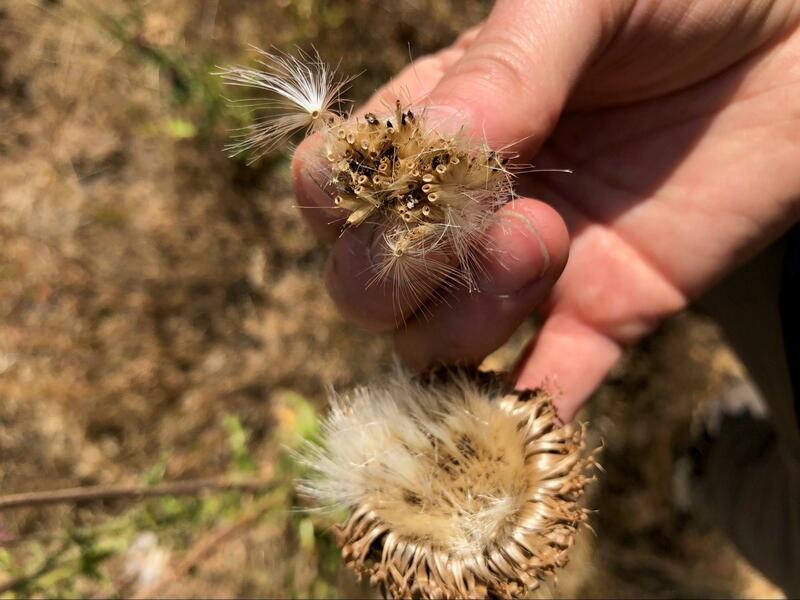 A single larva can completely destroy a knapweed seed head! 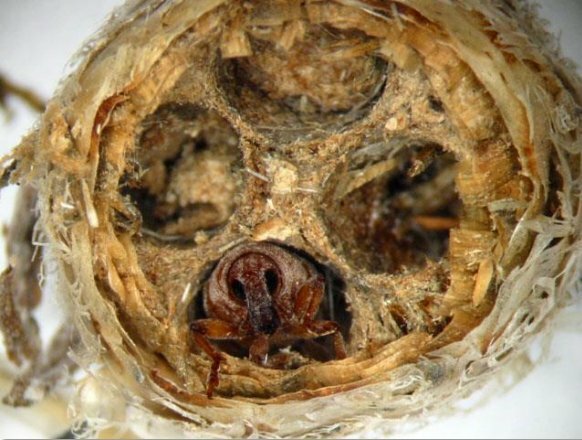 One study found that if the weevil density was high enough, a knapweed seed bank could be exhausted in seven years (Knochel, et al., 2010). Far right seed head: gall formed by Larinus minutus, the lesser knapweed flower weevil. Emerging Larinus minutus adult. Image credit: Rachel Frost, Montana State University. During late summer, adults chew their way out of the galls, leaving behind distinct holes in the flower heads. 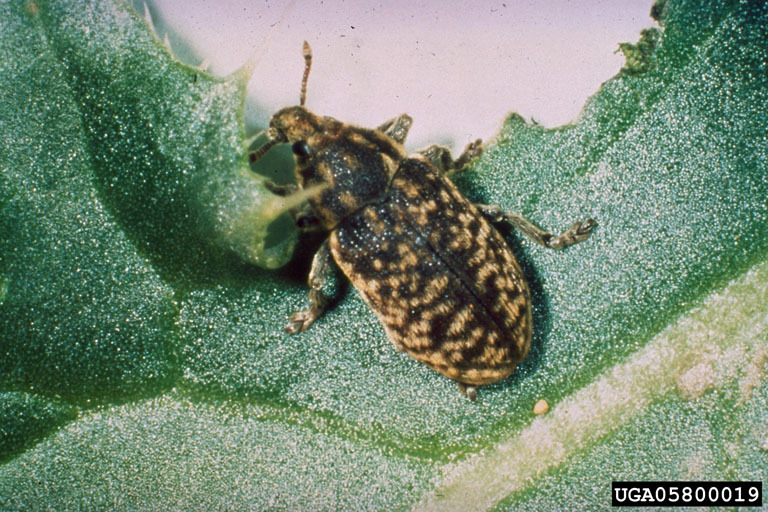 Rhinocyllus conicus, the thistle seed head weevil, attacks musk thistle by burrowing into seed heads and consuming seeds and receptacle tissue while in the larval stage. 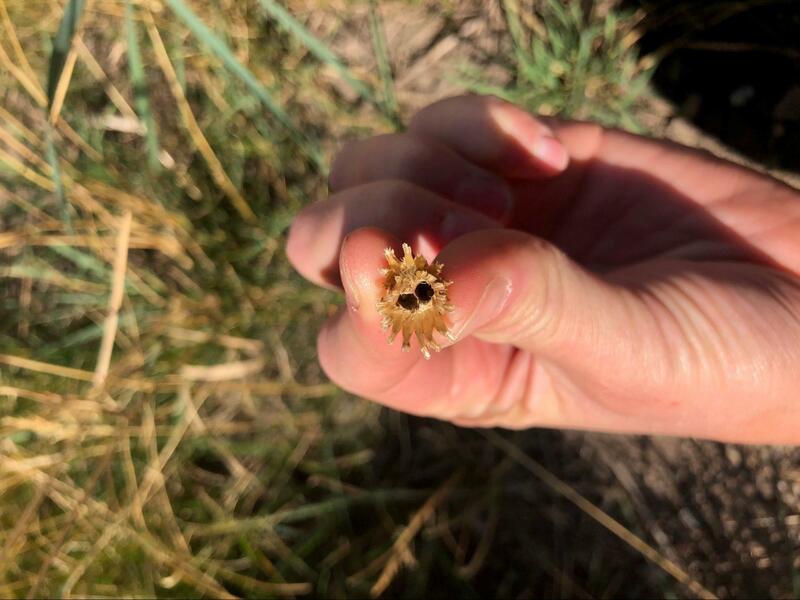 This agent has established quite well in Teton County and their damage is easily noticeable by breaking open a flower head. 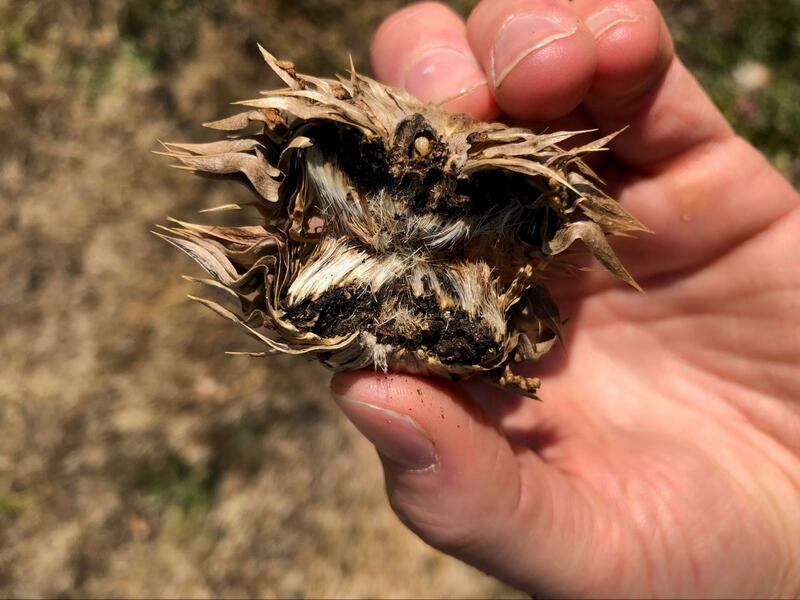 A musk thistle flower head revealing Rhinocyllus conicus larval feeding damage to seeds and receptacle. Musk thistle attacked by Rhinocyllus conicus. Seeds have been consumed and only seedless plumes are left behind. 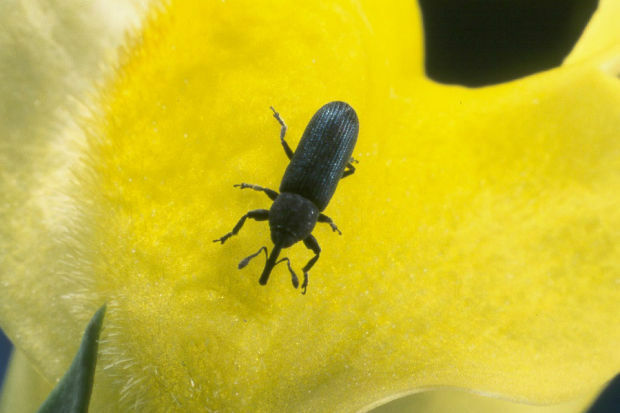 Dalmatian toadflax is host to an agent called Mecinus janthiniformis, a stem mining weevil. Adults feed on foliage and can cause shoot stunting as well as flowering and seed production suppression. Larval mining of the stem impairs water/nutrient transport, causing desiccation and reduces resources stored in the roots. Mecinus janthiniformis larva mining a dalmatian toadflax stem. Adult Mecinus janthiniformis overwinter in the stem, emerging in the spring to begin feeding and mating. Knochel, D.G., Monson, N.D., Seastedt, T. R. (2010). Additive effects of aboveground and belowground herbivores on the dominance of spotted knapweed (Centaurea stoebe). Oecologia 164 (3), 701-712.